With my last free weekend between now and August, I decided to get a good day of painting in with my Necrons. 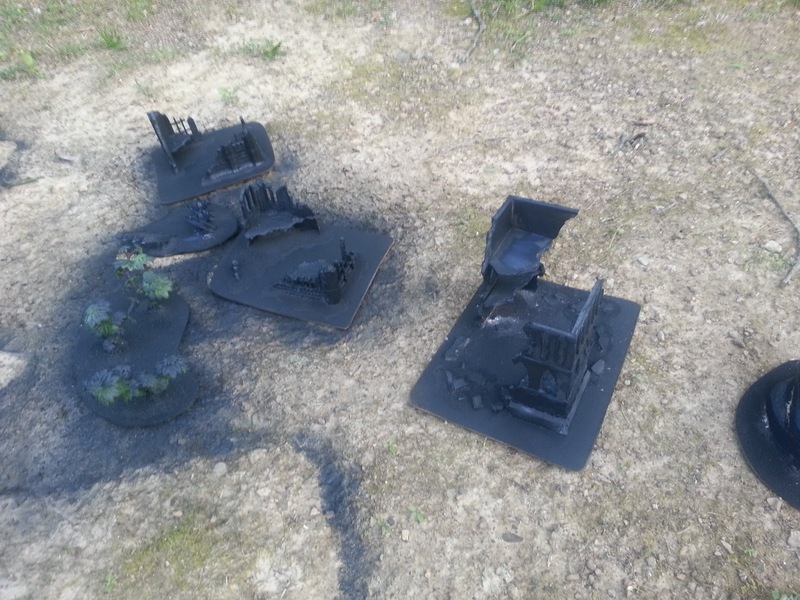 On the table I had 10 Immortals, 6 Scarab Bases, and 2 Night Scythes. I put on some Netflix and got to work. Ok, despite a general "meh" feeling I got at first, I couldn't help but get to work building some lists. For this first list I picked a bunch of stuff I liked the sound of, so it's probably not very cohesive, though I think it could be a little intimidating. The first 7th Edition Codex is now officially out (more or less, still seemed a little early). We've been getting leaks since last week, but as always I tended to be skeptical. Anyway, let's dive in. The first thing I noticed is that the format of the book is different. Granted, I am looking at the digital edition, but past digital codices have closely mirrored the physical books. The "Forces of the Orks" section says that each unit has a datasheet, which detail Army List Entries or formations. No more do we see the split of detailed rules and fluff and the army list entry. These datasheet entries look exactly like the ones we've seen for the units released in White Dwarf, like the Mek Guns. 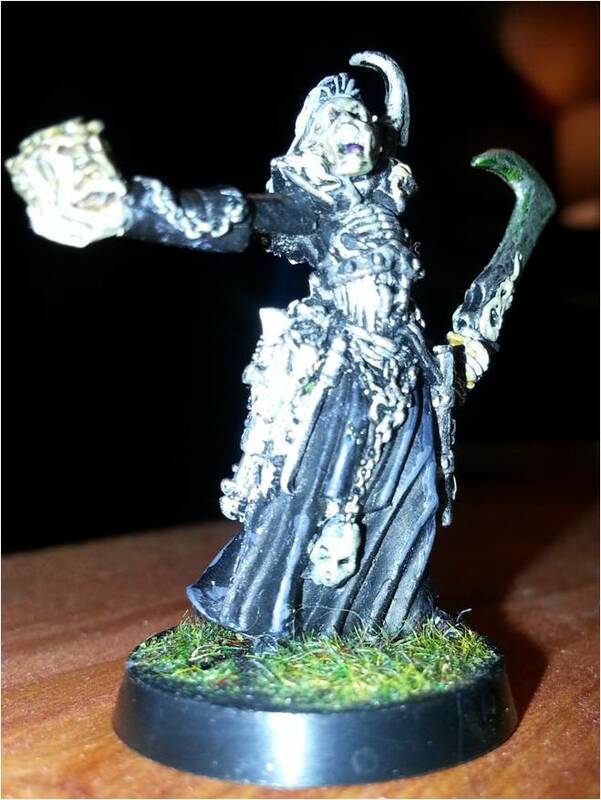 In my most recent post on Torrent of Fire, I look at the first month of results from 7th edition and do a bit of quick analysis. The biggest surprise for me was that Tyranids topped the win percentage rankings. Check out the full article and let me know what you think. Obviously the sample size is small, and people are still adjusting to 7th edition, but it's a nice sign of hope for my favorite army. 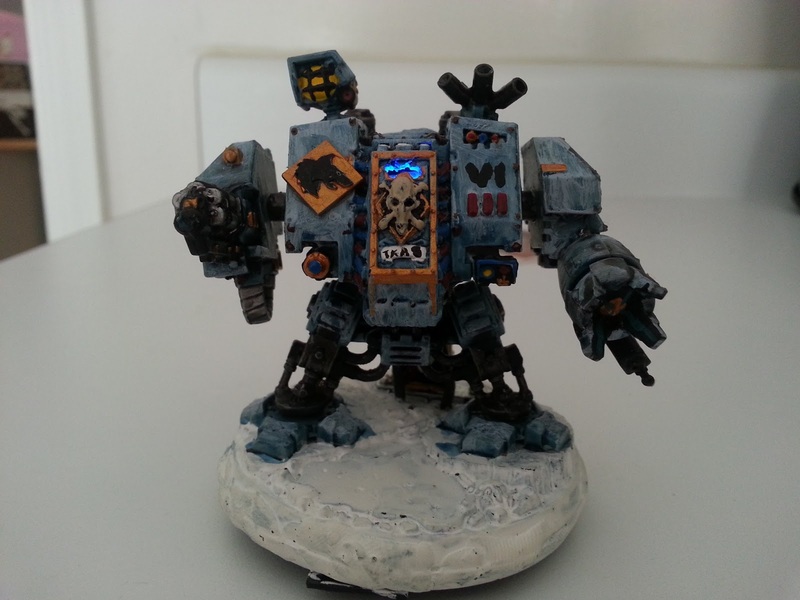 Dreadnoughts: What do we do with them? What's up everyone? It has been a while since I have gotten a post out but it has been because I have been trying to think about my two armies: Iron Hands and Space Wolves, and how I can better use them with 7th edition seeing a rise in the Vehicles, the Psyker Phase, and a very interesting mix of newer armies. I love Dreadnoughts and I have loved them from the moment I got into the game. 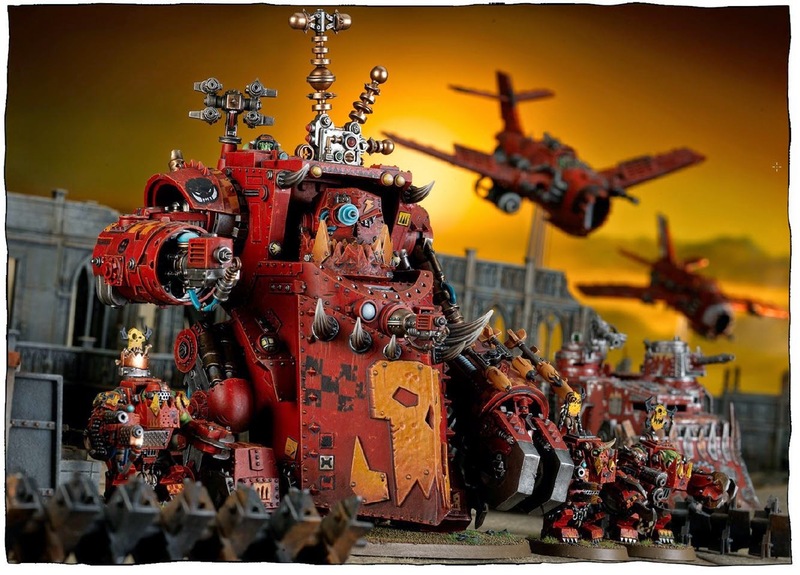 The idea of a Great Leader or Warrior continuing to serve the Emperor in a Machine that takes on his personality is something I love the fluff, and now with Vehicles staying a little bit more alive, does that mean that Dreads are back? The answer is yes, but you have to be extremely smart with them. So what type of Dreads do you want to roll? How is your Army Setup? Are you expecting heavy troops, heavy armor, or flyers? These are all questions that you have to think about before you deploy them. So while my Trios teammates Ron and Todd have had their rosters more or less set for a while now, I have long been in the air as far as what army I will take. With NOVA sneaking up fast, I think I need to go ahead and make a decision so we can start getting theming materials and the like prepped. 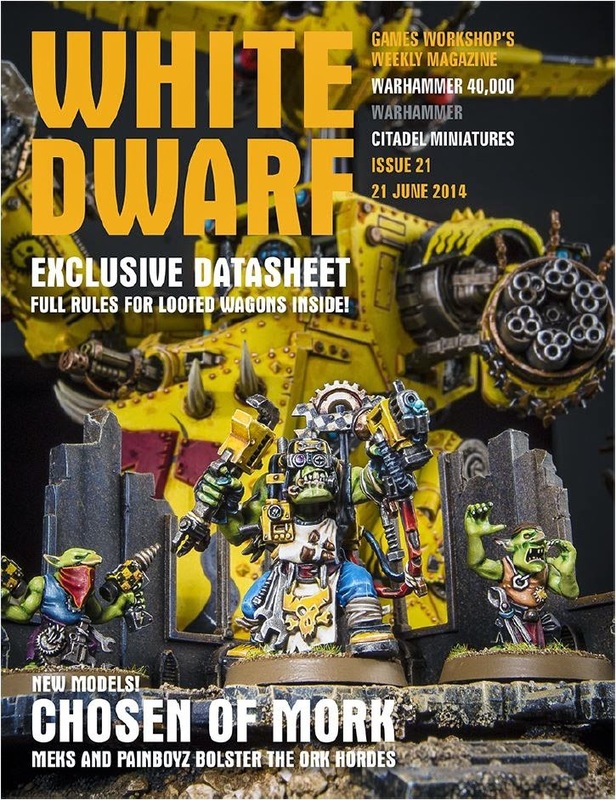 White Dwarf #21 - Orks, with a Codex! 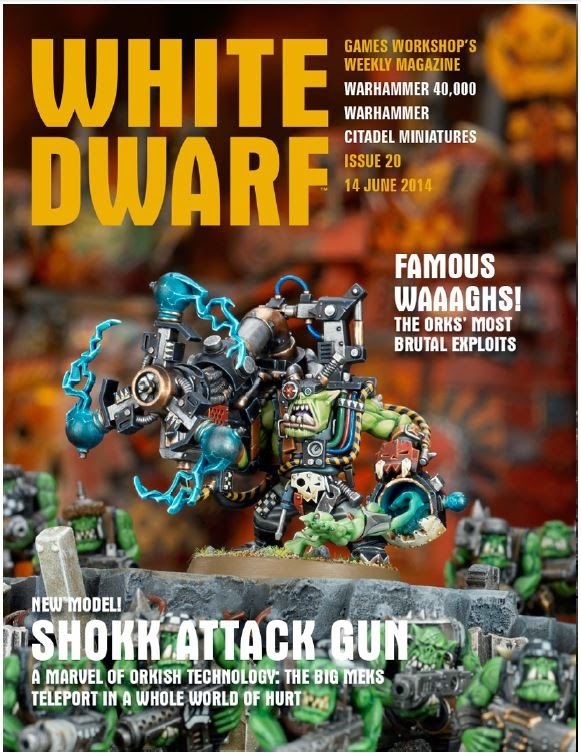 Well, the White Dwarf with the Ork Codex is finally here. Preorders going up today, it looks like the Limited Edition Codex got an overhaul this time, and comes with a little more than just a slip cover. Well, NOVA has unofficial rulings on the GT posted in terms of force organization restrictions, which should let everyone move along with choosing their force. The overarching rulings are that armies are limited to two detachments, and a single Combined Arms detachment. However, allied detachments are not restricted to being outside your primary detachment, allowing for quasi double CAD. To follow up on my first post about SpikeyCon, Chandler and I participated in the Iron Man tournament from 8:00pm until 5:00am. It was a blast, and I'm still recovering. I took the FTN suggested DE allies with my Tyranids. 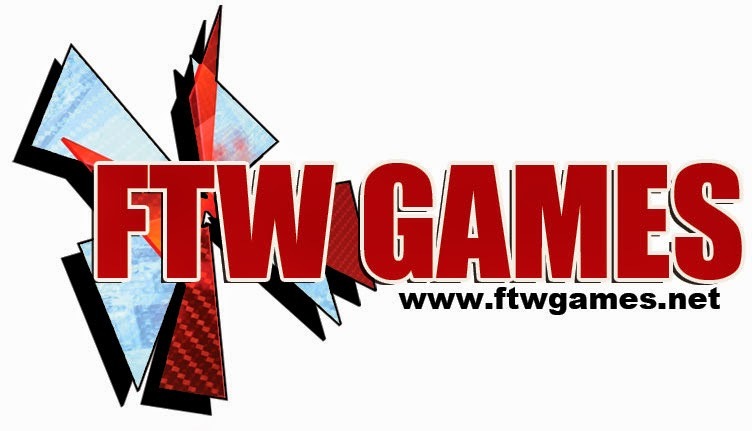 We just got back from a great weekend at FTW Games in Richmond, celebrating the store's birthday at SpikeyCon. To begin, if you are remotely in the area of Richmond, VA, I cannot recommend the store enough, Rob has put together a store with great people, great tables and terrain available for gaming, regular events, plenty of products for your hobby of choice, and generally a utopia of gaming, so check it out. It's over a three hour drive for Chandler and I, but well worth it. 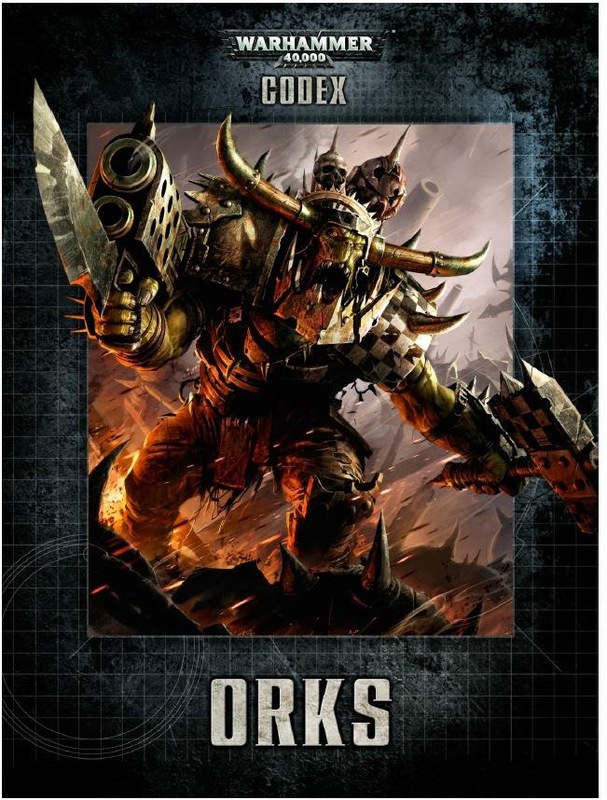 A third week of Ork releases is featured and still no sign of the Codex. 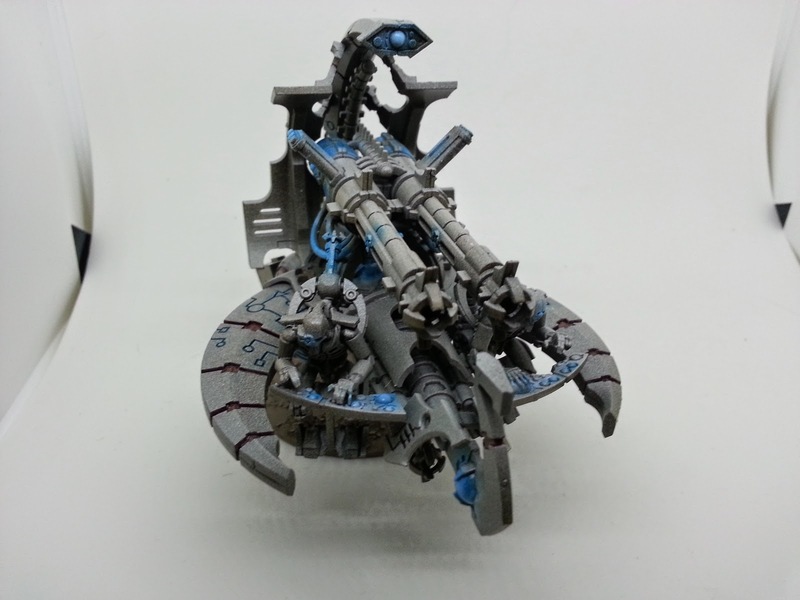 This week's releases are the new Mek Gun, which is a multi-part kit for any of the big guns, including a bunch of new weapons, the new Shokk Attack Gun, the 40k Librarium (all the 6th edition codices plus the rules), and some other Black Library releases. I finally got my first 7th Edition game in against Will, whose army you may remember from when we faced off at the local tournament a few months back. We decided to do a fun game using the Maelstrom missions and ended up finding ourselves around 2,500 points, which of course, Will was able to fit in a single case; I need to play a different army, as I had two cases plus two tool boxes full of minis. Fortunately I wasn't traveling far - from my hobby nook to my garage. What's up everyone? Today on the podcast, the boys got together with their 7th Edition Rule books and started breaking down our thoughts on the new missions, the new Psychic Phase, and the some of the changes to the rules. 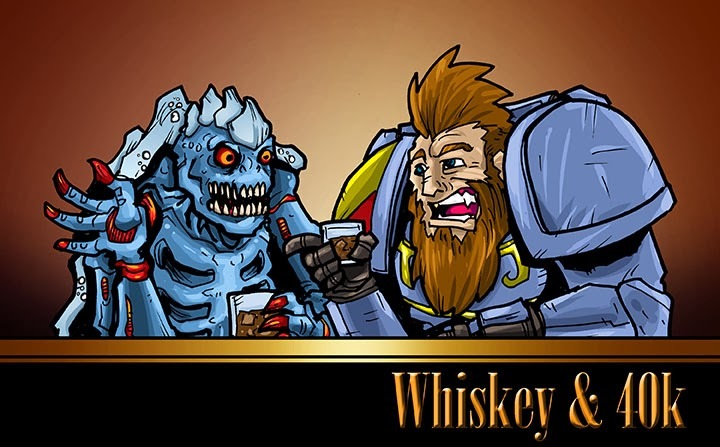 We also talk about some of the fun things that we have experienced playing a few 7th edition games. Our motto is to stay positive, adjust to the changes, and be ready to forge armies that are fun, fluffy, and we are proud of. Hopefully SpikeyCon will be a good test for us in the new edition. 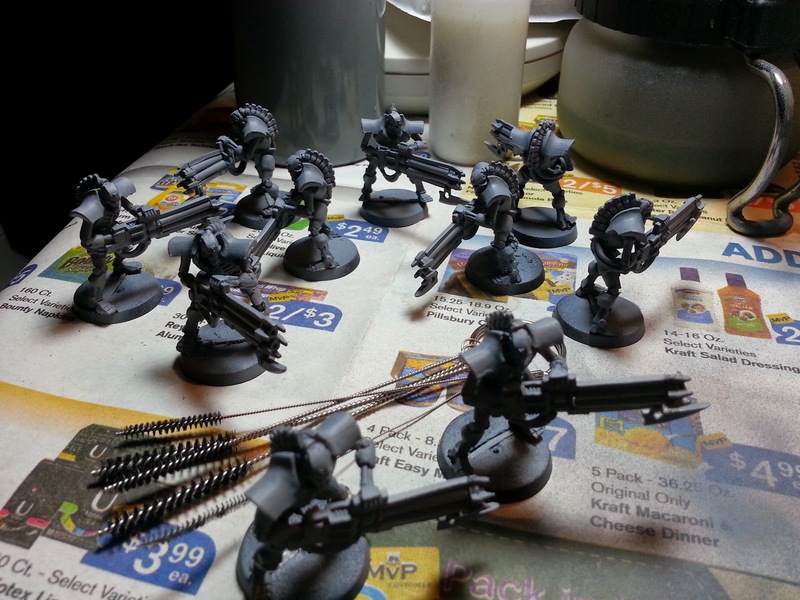 As I mentioned in my previous list building post, I've been toying with various ideas for my first Tournament of 7th Edition at SpikeyCon on June 14-15. After talking to the guys from Forge the Narrative and listening to their most recent podcast, I decided to look into allying some Dark Eldar to drop a Crucible of Malediction into the mix for some serious anti-psyker potential. 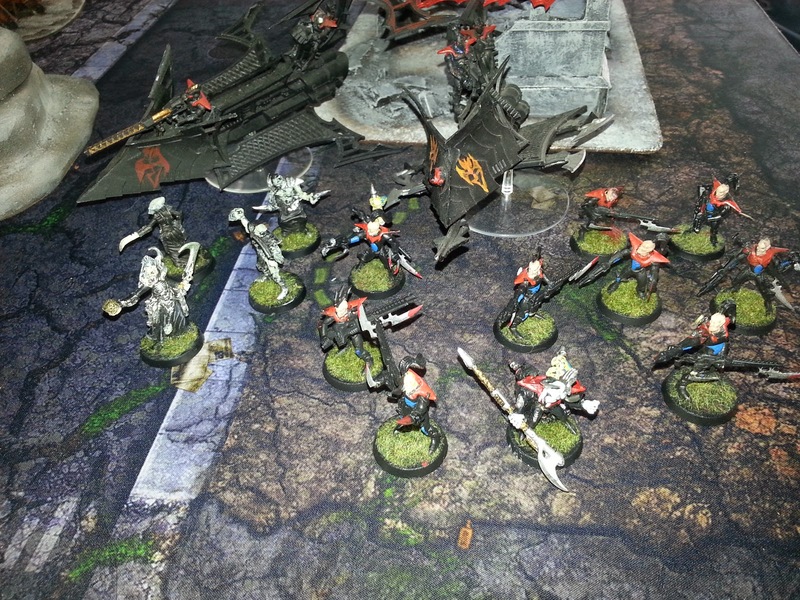 Dark Eldar were also my second army, and I'd actually been entertaining thoughts of getting rid of them rather than updating the collection, so it's nice to have a reason to try them out again. 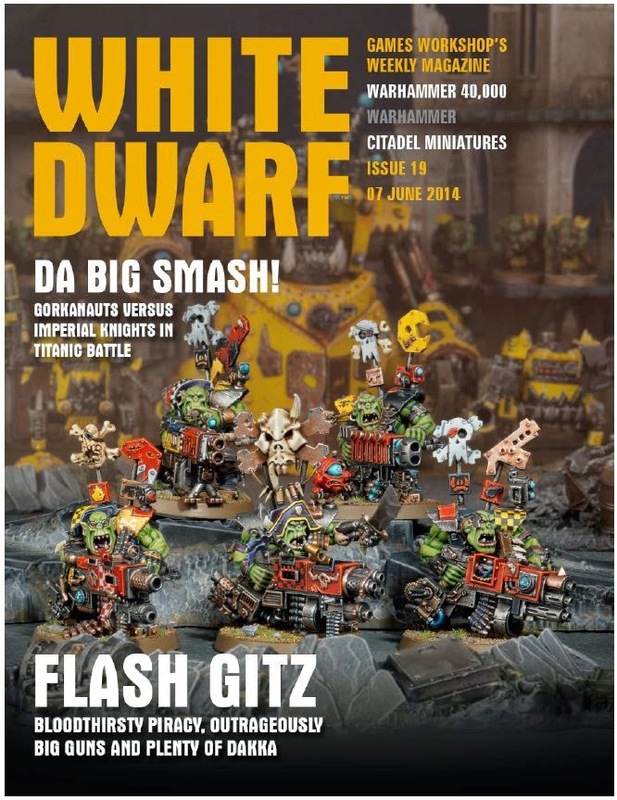 As the cover suggests, the issue focuses on the new, very nice Flash Gitz kit and a little bit of background about just what Flash Gitz are. Essentially, they are Orks, obsessed with their fancy, souped up gun, and their showing off of said weapon leads to their banishment from the standard Ork society, where they join Freebooterz clans and sell their services to the highest bidder. So, a few of you longtime followers might remember about a YEAR ago, I built several ruins and a couple hills and based them. This last weekend I finally got around to painting them up. In Terrain Daze a couple weeks ago I painted a GW piece along with my rock arch with my airbrush. While I liked the effect it gave, for base coats it was definitely slow. This time, I decided to go with some craft paints and cheap, large paint brushes and sponges. There is an upcoming 1,500 point tournament at WyvaCon in Wytheville, Virginia, on Saturday, July 26. This is the third year of the event, debuting in 2012 and continuing strong last year. Admission and registration is very affordable ($10 total I believe) and it sounds like a really good time. The tournament will be a nice, streamlined 7th Edition take. Missions are only slightly adjusted BRB missions (Emperor's Will, Scouring/Big Guns, and Purge). The only restrictions are that armies must be battle forged, with a single primary and allied detachment allowed. You can find the current rules pack here. It sounds like a great time and I wish I could make it, but it's not a good weekend personally. That said, if you're in the area, give it a look and head out for a good day of 40k. With the 7th Edition shakeup of the Allies matrix and levels of alliance, combined with whispers that many tournaments will limit lists to a single combined arms detachment plus an allied detachment, I thought I would play around with some Come the Apocalypse allied lists. Strictly speaking, with Tyranids, a limitation to a single Combined Arms detachment leaves my only choice for supplementing my army with a Come the Apocalypse ally. Something I'm really liking about Necrons is that I can try out lots of airbrushing techniques and really bring units quickly from Grey to painted. I took a night and painted up my Annihilation barge, 100% with my airbrush. 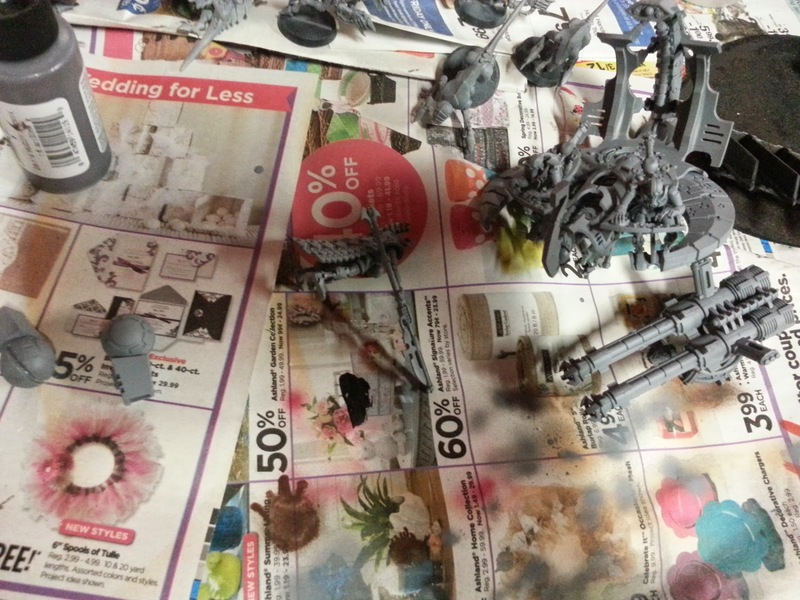 I started with Badger's Stynylrez Gray Primer. This was the first time I'd used it, and I like the idea of using the grey primer, but it's definitely a little odd to use on grey plastic, hard to see where has been sprayed. That said, the primer was very forgiving and leveling on a couple places I oversprayed.